With increasing public outcry over recent shootings by Chicago Police, Mayor Rahm Emanuel on Wednesday announced sweeping changes in police training, including a new requirement that every beat car responding to a call be equipped with a Taser. Emanuel and Interim Police Superintendent John Escalante discussed the changes during a packed City Hall press conference, detailing a plan that centers around mitigation and “de-escalation tactics” that aim to drastically reduce the intensity of potentially explosive situations. "It’s about helping them realize the multitude of responses that are available in a tense situation," Emanuel said. "There’s a difference between when someone can use a gun and when someone should use a gun." Emanuel made clear that the public’s focus should not be his Taser initiative, but an effort to change the culture of the department. And a targeted effort to emphasize that the use of force is not always the best alternative to defuse a crisis situation. In saying that, Emanuel conceded that police in Chicago had shot and killed too many people who were not armed with guns, and that not enough opportunities had been taken to reduce tension through other means. Escalante said the new policies were created following a review of 15 other major police departments in the country, including New York, Seattle, Portland, Cincinnati and Cleveland. The new policies are being rolled out as the Department of Justice’s probe into the Chicago Police Department is just getting underway. The federal investigation is expected to take about a year, Emanuel said the changes he is advocating mirror those in place in departments which have already gone through similar Federal scrutiny. Under the new Taser initiative, every officer that responds to calls for service will be equipped with a Taser and properly trained to use it by June 1, 2016. While Emanuel would not elaborate on how he plans to fund the deployment, he said the number of Tasers available to officers would be doubled. “We’re at about 700 for Patrol, that will give us about 1400,” said Acting Police Superintendent John Escalante. “Every beat car that responding to a call for service? Those officers should be responding with a Taser. 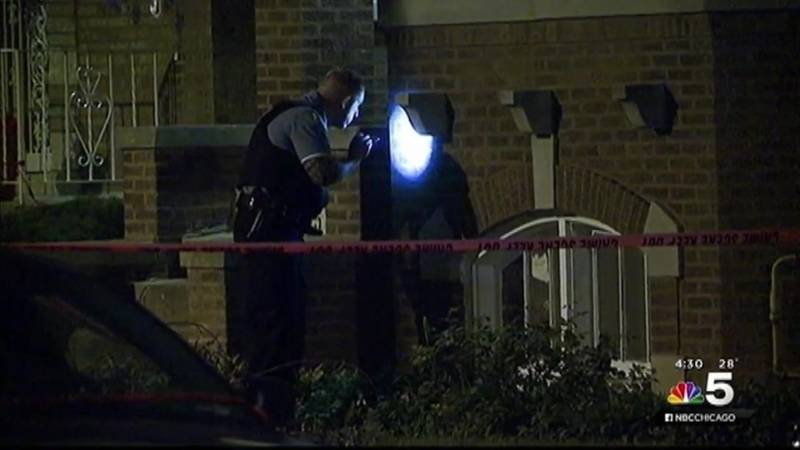 Last weekend, police shot and killed 19-year-old Quintonio Legrier, who was armed with a bat. In that same incident, 55-year-old neighbor Bettie Jones was also fatally shot. Neither the mayor nor Escalante would address that incident, citing the ongoing investigation by the Independent Police Review Authority. “Nothing at this point indicates that this was anything more than a tragic accident,” Escalante said. The new initiatives announced Wednesday come amid continuing public outrage over not only last Saturday’s shootings, but the 2014 death of teenager LaQuan McDonald, who was shot 16 times by a Chicago Police officer who now faces charges of first degree murder. First responding officers who met up with McDonald had called for an officer with a Taser, but before one could arrive, the 17-year-old was shot and killed. "I think obviously if you have eight officers, like in the Laquan McDonald situation, all calling for a Taser and none of them have it, we have a problem," Emanuel said.